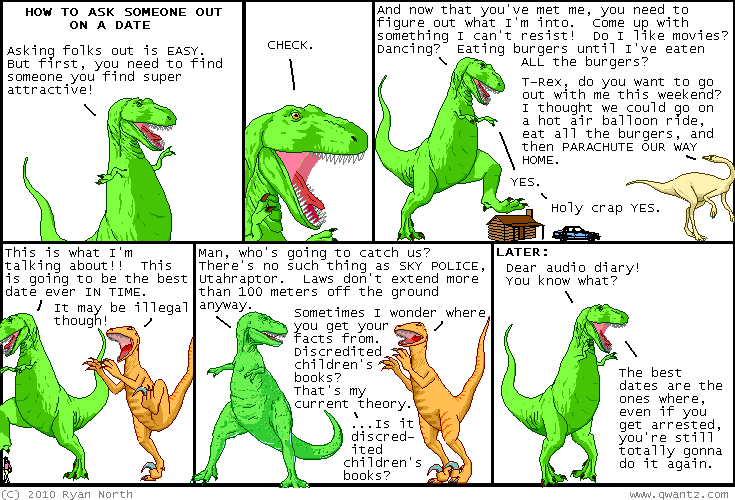 Dinosaur Comics - April 22nd, 2010 - awesome fun times! –Hah! That's classic Angry People Who Don't Understand Why They're Here! April 22nd, 2010: Sorry for no new comic for Friday - I am on my way Calgary and the Calgary Comics Expo this Saturday and Sunday! You should come! In lieu of a new comic I give you a sweet overlay by Emily and John which I will call only "butiwouldratherbereading=onewheretrexgotassimilated".